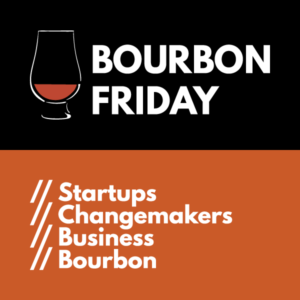 In this episode of the Bourbon Friday Show we had the opportunity to talk with Dave Costenaro, Executive Director at Prepare.Ai, about the AI revolution and their recent Conference on Artificial Intelligence. Last week Prepare.Ai held their first Conference on Artificial Intelligence right here in St. Louis. A year in the making, the goal of the conference was two-fold: to connect with people in this region and inform them of the ever-advancing world of Artificial Intelligence and to raise the caliber of AI tech talent in the St. Louis tech ecosystem. 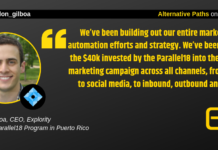 In this episode of the Bourbon Friday Show, we sat down with Dave Costenaro from Prepare.Ai to discuss how the conference went and dive into what AI means and how it’s changing the world. The show kicked off with the simple question: What is AI, exactly? According to Costenaro, AI encompasses many different concepts. In the most rudimentary sense, AI is considered to be what the general public thinks is the cutting edge of what a machine can do. Put simply; when a machine is able to sense the environment around it and then take an action to produce an effect on that environment, it’s considered machine intelligence. That being said, most of the conversation around AI has evolved from the basics of what it can do, to how these technologies will affect people and their daily interactions with the world. In fact, many of the topics covered during the show reflect this topic. Questions regarding eroding job-stability at the hands of AI, or the possibility of AI technologies becoming self-aware are especially salient issues for this field. Costenaro says it’s unlikely that either of the aforementioned issues will come to fruition any time soon, due to a combination of factors. The most obvious being the fact that many of the machines we use daily are designed for specific tasks, and while they’re excellent at learning, they aren’t as great as integrating those specialized functions as fluidly and creatively as humans can. The bottle this week was Jim Beam Black Extra Aged, meaning it’s the Jim Beam everyone knows, but it’s aged for 6 to 7 years instead of 3 to 4. Not only is Jim Beam a leader in bourbon sales, having passed 15 million barrels earlier this year, they are often looked to as innovators in the industry. Bourbon Friday was first started about a year ago by Erik Lutenegger from Tenacity in an effort to bring entrepreneurs who were coworking at T-Rex together to share their insights and stories. .Now, that little event has turned into a regular live stream on EQ’s Facebook Page, to showcase all the personalities in the St. Louis entrepreneurship community, as they break free from a hectic work week and engage in scintillating discussion over a glass or two of bourbon.